Josh Bell - 1B PIT Fanduel: 2300 Draftkings: 2900 - Bellwill go against Wily Peralta at Miller Park (Milwaukee, Wisconsin). Peralta has an ERA against switch hitters of 5.53 with a wOBA of 0.396. Also he has been playing poorly at home. His ERA at home is 6.36 and his wOBA is 0.404. Bell on the road0.000 and has a wOBA of 0.69. Bell hits righties in a big way, with an ISO of 0.500 and has a wOBA of 0.58. Miguel Cabrera - 1B DET Fanduel: 4200 Draftkings: 4800 - Cabrera will face Jose Berrios at Target Field (Minneapolis, Minnesota) which ranks number 3 in runs scored and number 14 in home runs allowed. This game has a high over under of 10,Berrios has an ERA against righties of 11.74 with a wOBA of 0.482. In addition he really has been pretty weak at home. His ERA at home is 10.64 and his wOBA is 0.484. Throughout the last 7 days Cabrera has scored 13.4 Fanduel fantasy points while his season average is 11.7. He has a batting average of 0.435 and a slugging percentage of 0.696 over that time. Cabrera on the road is incredible. His ISO is 0.186 and has a wOBA of 0.351. Cabrera hits righties big time, to the tune of an ISO of 0.250 and has a wOBA of 0.392. Edwin Encarnacion - 1B TOR Fanduel: 4300 Draftkings: 5000 - Encarnacion will face Jered Weaver at Rogers Centre (Toronto, Ontario) which ranks number 9 in runs scored and number 3 in home runs allowed. This could be a shoot out with an over under of 9.5, so I think you should expect a lot of fantasy points being scored. Weaver has an ERA against righties of 5.54 with a wOBA of 0.380. In addition, he is really struggling on the road. His ERA on the road is 5.48 and his wOBA is 0.385. Through the times they faced eachother, Encarnacion has faced Jered Weaver 10 times with a slugging percentage of 0.600 with 1 homeruns. Encarnacion at home is money. His ISO is 0.321 and has a wOBA of 0.404. Encarnacion hits righties in a big way, with an ISO of 0.284 and has a wOBA of 0.381. Coming off a 3 hit performance yesterday, Ryan Zimmerman - 1B WAS Fanduel: 3000 Draftkings: 4200 - Zimmerman will battle Ubaldo Jimenez at Nationals Park (Washington, D.C.) which ranks number 6 in runs scored. Jimenez has an ERA against righties of 6.63 with a wOBA of 0.343. In addition he really has been pretty weak on the road. His ERA on the road is 7.34 and his wOBA is 0.385. Zimmerman has faced Ubaldo Jimenez 17 times with a slugging percentage of 0.412. Mike Napoli - 1B CLE Fanduel: 3300 Draftkings: 3400 - Napoli will be facing Cole Hamels at Globe Life Park in Arlington (Arlington, Texas) which ranks number 7 in runs scored. Hamels has an ERA against righties of 3.00 with a wOBA of 0.316. His ERA at home is 4.05 and his wOBA is 0.361. Napoli hits lefties in a big way, with an ISO of 0.258 and has a wOBA of 0.395. This guy should crush it today if he is starting. Following a 3 hit game yesterday, Daniel Murphy - 2B WAS Fanduel: 4000 Draftkings: 5300 - Murphy is facing Ubaldo Jimenez at Nationals Park (Washington, D.C.) which ranks number 6 in runs scored. Jimenez has an ERA against lefties of 7.36 with a wOBA of 0.423. on the road. His ERA on the road is 7.34 and his wOBA is 0.385. Throughout his career, Murphy has faced Ubaldo Jimenez 11 times with a slugging percentage of 0.545 with 1 homeruns. During the past week Murphy has scored 16.3 Fanduel fantasy points while his season average is 12.9. He has a batting average of 0.333 and a slugging percentage of 0.625 over that time. He also has hit 2 homeruns. Murphy at home is great! His ISO is 0.224 and has a wOBA of 0.393. Murphy hits righties extremely hard. His ISO is 0.270 and has a wOBA of 0.427. Ian Kinsler - 2B DET Fanduel: 3900 Draftkings: 3600 - Kinsler will battle Jose Berrios at Target Field (Minneapolis, Minnesota) which ranks number 3 in runs scored and number 14 in home runs allowed. 10,Berrios has an ERA against righties of 11.74 with a wOBA of 0.482. at home. His ERA at home is 10.64 and his wOBA is 0.484. Kinsler on the road crushes it. He has an ISO of 0.221 and has a wOBA of 0.35. Kinsler hits righties in a big way, with an ISO of 0.181 and has a wOBA of 0.335. Brian Dozier - 2B MIN Fanduel: 4100 Draftkings: 5300 - Dozier will be facing Daniel Norris at Target Field (Minneapolis, Minnesota) which ranks number 3 in runs scored and number 14 in home runs allowed. This could be a shoot out with an over under of 10, so expect a high scoring game. Norris has an ERA against righties of 2.57 with a wOBA of 0.359. His ERA on the road is 3.38 and his wOBA is 0.370. Over the last week Dozier has scored 19.1 Fanduel fantasy points while his season average is 12.5. He has a batting average of 0.333 and a slugging percentage of 0.833 over that time. He also has hit 4 homeruns. Dozier at home is incredible. His ISO is 0.233 and has a wOBA of 0.345. Dozier hits lefties in a big way, with an ISO of 0.379 and has a wOBA of 0.446. Signs are pointing up for him today. Following a 3 hit outting yesterday, Devon Travis - 2B TOR Fanduel: 3500 Draftkings: 4300 - Travis will face Jered Weaver at Rogers Centre (Toronto, Ontario) which ranks number 9 in runs scored and number 3 in home runs allowed. This game is showing a high Over under of 9.5, so get ready for a lot of runs. Weaver has an ERA against righties of 5.54 with a wOBA of 0.380. In addition, he is really struggling on the road. His ERA on the road is 5.48 and his wOBA is 0.385. Travis hits righties in a big way, with an ISO of 0.210 and has a wOBA of 0.373. Jean Segura - 2B ARI Fanduel: 3600 Draftkings: 5300 - Segura will be facing Matt Wisler at Chase Field (Phoenix, Arizona) which ranks number 2 in runs scored and number 7 in home runs allowed. Wisler has an ERA against righties of 4.45 with a wOBA of 0.318. on the road. His ERA on the road is 5.77 and his wOBA is 0.333. Over the last 7 days Segura has scored 21.2 Fanduel fantasy points while his season average is 12. He has a batting average of 0.429 and a slugging percentage of 0.750 over that time. He also has hit 2 homeruns. Segura at home crushes it. He has an ISO of 0.169 and has a wOBA of 0.366. Segura hits righties big time, to the tune of an ISO of 0.160 and has a wOBA of 0.37. Look for a big game. After a 4 hit outting yesterday, Anthony Rendon - 3B WAS Fanduel: 3500 Draftkings: 4700 - Rendon will face Ubaldo Jimenez at Nationals Park (Washington, D.C.) which ranks number 6 in runs scored. Jimenez has an ERA against righties of 6.63 with a wOBA of 0.343. on the road. His ERA on the road is 7.34 and his wOBA is 0.385. Rendon has scored 13.4 Fanduel fantasy points while his season average is 10.8. He has a batting average of 0.360 and a slugging percentage of 0.600 over that time. Rendon at home is incredible. His ISO is 0.179 and has a wOBA of 0.341. Rendon hits righties extremely hard. His ISO is 0.196 and has a wOBA of 0.347. David Freese - 3B PIT Fanduel: 3000 Draftkings: 4000 - Freese faces Wily Peralta at Miller Park (Milwaukee, Wisconsin). Peralta has an ERA against righties of 6.48 with a wOBA of 0.408. Also he has been playing poorly at home. His ERA at home is 6.36 and his wOBA is 0.404. Freese has faced Wily Peralta 10 times with a slugging percentage of 0.700 with 1 homeruns. Freese on the road crushes it. He has an ISO of 0.199 and has a wOBA of 0.356. Freese hits righties extremely hard. His ISO is 0.135 and has a wOBA of 0.324. Adrian Beltre - 3B TEX Fanduel: 3400 Draftkings: 4200 - Beltre will be taking on Josh Tomlin at Globe Life Park in Arlington (Arlington, Texas) which ranks number 7 in runs scored. Tomlin has an ERA against righties of 5.04 with a wOBA of 0.358. His ERA on the road is 4.07 and his wOBA is 0.320. Through the times they faced eachother, Beltre has faced Josh Tomlin 10 times with a slugging percentage of 0.800 with 1 homeruns. Beltre has scored 13 Fanduel fantasy points while his season average is 10.5. He has a batting average of 0.350 and a slugging percentage of 0.750 over that time. He also has hit 2 homeruns. Beltre at home is awesome and his ISO is 0.162 and has a wOBA of 0.365. Beltre hits righties in a big way, with an ISO of 0.174 and has a wOBA of 0.331. Kyle Seager - 3B SEA Fanduel: 3600 Draftkings: 4900 - Seager will face Anthony Ranaudo at U.S. Cellular Field (Chicago, Illinois) which ranks number 8 in runs scored and number 13 in home runs allowed. There's a high over under on this game, 9.5,Ranaudo has an ERA against lefties of 6.48 with a wOBA of 0.344. Also he has been playing poorly at home. His ERA at home is 33.75 and his wOBA is 0.383. During the prior 7 days Seager has scored 12.5 Fanduel fantasy points while his season average is 11.5. He has a batting average of 0.300 and a slugging percentage of 0.600 over that time. He also has hit 2 homeruns. Seager on the road0.254 and has a wOBA of 0.377. Seager hits righties in a big way, with an ISO of 0.244 and has a wOBA of 0.401. His matchup it too much to overlook. Trevor Plouffe - 3B MIN Fanduel: 2700 Draftkings: 3300 - Plouffe is facing Daniel Norris at Target Field (Minneapolis, Minnesota) which ranks number 3 in runs scored and number 14 in home runs allowed. There over under on this game is pretty big at 10, so I think you should expect a lot of fantasy points being scored. Norris has an ERA against righties of 2.57 with a wOBA of 0.359. His ERA on the road is 3.38 and his wOBA is 0.370. Plouffe hits lefties extremely hard. His ISO is 0.190 and has a wOBA of 0.329. Trea Turner - SS WAS Fanduel: 4100 Draftkings: 4900 - Turner is facing Ubaldo Jimenez at Nationals Park (Washington, D.C.) which ranks number 6 in runs scored. Jimenez has an ERA against righties of 6.63 with a wOBA of 0.343. Additionally, he isn't doing well on the road. His ERA on the road is 7.34 and his wOBA is 0.385. Throughout the last 7 days Turner has scored 16 Fanduel fantasy points while his season average is 14.3. He has a batting average of 0.419 and a slugging percentage of 0.581 over that time. Turner at home is great! His ISO is 0.250 and has a wOBA of 0.358. Turner hits righties big time, to the tune of an ISO of 0.264 and has a wOBA of 0.392. If you see him starting, try to roster him. 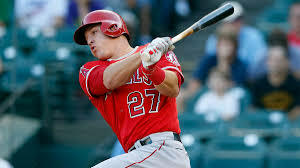 Troy Tulowitzki - SS TOR Fanduel: 3200 Draftkings: 5100 - Tulowitzki will battle Jered Weaver at Rogers Centre (Toronto, Ontario) which ranks number 9 in runs scored and number 3 in home runs allowed. There's a high over under on this game, 9.5, so expect some runs to be scored. Weaver has an ERA against righties of 5.54 with a wOBA of 0.380. on the road. His ERA on the road is 5.48 and his wOBA is 0.385. Tulowitzki at home is great! His ISO is 0.199 and has a wOBA of 0.332. Tulowitzki hits righties very hard. His ISO is 0.220 and has a wOBA of 0.337. Jordy Mercer - SS PIT Fanduel: 2400 Draftkings: 3400 - Mercer will be taking on Wily Peralta at Miller Park (Milwaukee, Wisconsin). Peralta has an ERA against righties of 6.48 with a wOBA of 0.408. at home. His ERA at home is 6.36 and his wOBA is 0.404. During their career, Mercer has faced Wily Peralta 15 times with a slugging percentage of 0.067. During the past week Mercer has scored 10.5 Fanduel fantasy points while his season average is 8. He has a batting average of 0.267 and a slugging percentage of 0.600 over that time. Danny Espinosa - SS WAS Fanduel: 3300 Draftkings: 3400 - Espinosa is taking on Ubaldo Jimenez at Nationals Park (Washington, D.C.) which ranks number 6 in runs scored. Jimenez has an ERA against switch hitters of 7.36 with a wOBA of 0.423. Also he has not done well on the road. His ERA on the road is 7.34 and his wOBA is 0.385. During the prior 7 days Espinosa has scored 13 Fanduel fantasy points while his season average is 9. He has a batting average of 0.227 and a slugging percentage of 0.500 over that time. He also has hit 2 homeruns. Elvis Andrus - SS TEX Fanduel: 2900 Draftkings: 3500 - Andrus goes against Josh Tomlin at Globe Life Park in Arlington (Arlington, Texas) which ranks number 7 in runs scored. Tomlin has an ERA against righties of 5.04 with a wOBA of 0.358. His ERA on the road is 4.07 and his wOBA is 0.320. During their history against eachother, Andrus has faced Josh Tomlin 8 times with a slugging percentage of 0.375. Andrus at home is money. His ISO is 0.137 and has a wOBA of 0.331. Mike Zunino - C SEA Fanduel: 3000 Draftkings: 3500 - Zunino will go against Anthony Ranaudo at U.S. Cellular Field (Chicago, Illinois) which ranks number 8 in runs scored and number 13 in home runs allowed. There over under on this game is pretty big at 9.5, so expect a lot of runs to happen! Ranaudo has an ERA against righties of 13.50 with a wOBA of 0.433. Additionally, he isn't doing well at home. His ERA at home is 33.75 and his wOBA is 0.383. Zunino on the road0.189 and has a wOBA of 0.349. Zunino hits righties big time, to the tune of an ISO of 0.424 and has a wOBA of 0.44. This guy should get some good fantasy points. Jonathan Lucroy - C TEX Fanduel: 3300 Draftkings: 4800 - Lucroywill go against Josh Tomlin at Globe Life Park in Arlington (Arlington, Texas) which ranks number 7 in runs scored. Tomlin has an ERA against righties of 5.04 with a wOBA of 0.358. His ERA on the road is 4.07 and his wOBA is 0.320. Lucroy at home is money. His ISO is 0.290 and has a wOBA of 0.404. Lucroy hits righties big time, to the tune of an ISO of 0.208 and has a wOBA of 0.379. Jarrod Saltalamacchia - C DET Fanduel: 2500 Draftkings: 3500 - Saltalamacchia is taking on Jose Berrios at Target Field (Minneapolis, Minnesota) which ranks number 3 in runs scored and number 14 in home runs allowed. The over under on this game is huge, at 10,Berrios has an ERA against switch hitters of 7.02 with a wOBA of 0.356. In addition, he is really struggling at home. His ERA at home is 10.64 and his wOBA is 0.484. Saltalamacchia on the road crushes it. He has an ISO of 0.236 and has a wOBA of 0.339. Saltalamacchia hits righties big time, to the tune of an ISO of 0.224 and has a wOBA of 0.319. He has a nice matchup today. Kurt Suzuki - C MIN Fanduel: 2200 Draftkings: 3300 - Suzukiwill go against Daniel Norris at Target Field (Minneapolis, Minnesota) which ranks number 3 in runs scored and number 14 in home runs allowed. There's a high over under on this game, 10,Norris has an ERA against righties of 2.57 with a wOBA of 0.359. His ERA on the road is 3.38 and his wOBA is 0.370. Suzuki hits lefties extremely hard. His ISO is 0.176 and has a wOBA of 0.336. Francisco Cervelli - C PIT Fanduel: 2800 Draftkings: 3700 - Cervelli is facing Wily Peralta at Miller Park (Milwaukee, Wisconsin). Peralta has an ERA against righties of 6.48 with a wOBA of 0.408. Also he has not done well at home. His ERA at home is 6.36 and his wOBA is 0.404. Cervelli on the road is great! His ISO is 0.035 and has a wOBA of 0.327. This guy should get some good fantasy points. Justin Upton - OF DET Fanduel: 3300 Draftkings: 3600 - Upton will face Jose Berrios at Target Field (Minneapolis, Minnesota) which ranks number 3 in runs scored and number 14 in home runs allowed. This game has a high over under of 10, so expect a lot of runs to happen! Berrios has an ERA against righties of 11.74 with a wOBA of 0.482. Also he has been playing poorly at home. His ERA at home is 10.64 and his wOBA is 0.484. Over the last 7 days Upton has scored 21.5 Fanduel fantasy points while his season average is 9. He has a batting average of 0.500 and a slugging percentage of 1.188 over that time. He also has hit 3 homeruns. J.D. Martinez - OF DET Fanduel: 4000 Draftkings: 5000 - Martinez is taking on Jose Berrios at Target Field (Minneapolis, Minnesota) which ranks number 3 in runs scored and number 14 in home runs allowed. There over under on this game is pretty big at 10, so get ready for a lot of runs. Berrios has an ERA against righties of 11.74 with a wOBA of 0.482. In addition, he is really struggling at home. His ERA at home is 10.64 and his wOBA is 0.484. During the past week Martinez has scored 18.3 Fanduel fantasy points while his season average is 12.1. He has a batting average of 0.458 and a slugging percentage of 0.792 over that time. He also has hit 2 homeruns. Martinez on the road is great! His ISO is 0.215 and has a wOBA of 0.353. Martinez hits righties big time, to the tune of an ISO of 0.253 and has a wOBA of 0.399. You need to get him in your lineups today. Bryce Harper - OF WAS Fanduel: 3900 Draftkings: 5500 - Harper will go against Ubaldo Jimenez at Nationals Park (Washington, D.C.) which ranks number 6 in runs scored. Jimenez has an ERA against lefties of 7.36 with a wOBA of 0.423. Also he has been playing poorly on the road. His ERA on the road is 7.34 and his wOBA is 0.385. During the prior 7 days Harper has scored 14.3 Fanduel fantasy points while his season average is 11.9. He has a batting average of 0.345 and a slugging percentage of 0.448 over that time. Harper at home0.219 and has a wOBA of 0.342. Harper hits righties very hard. His ISO is 0.213 and has a wOBA of 0.369. Michael Saunders - OF TOR Fanduel: 3400 Draftkings: 4200 - Saunderswill go against Jered Weaver at Rogers Centre (Toronto, Ontario) which ranks number 9 in runs scored and number 3 in home runs allowed. There's a high over under on this game, 9.5, so get ready for a lot of runs. Weaver has an ERA against lefties of 5.37 with a wOBA of 0.379. Also he has not done well on the road. His ERA on the road is 5.48 and his wOBA is 0.385. Throughout both of their careers, Saunders has faced Jered Weaver 26 times with a slugging percentage of 0.538 with 1 homeruns. Saunders at home0.232 and has a wOBA of 0.377. Saunders hits righties big time, to the tune of an ISO of 0.198 and has a wOBA of 0.341. This guy should get some good fantasy points. Gregory Polanco - OF PIT Fanduel: 3800 Draftkings: 5400 - Polanco will be taking on Wily Peralta at Miller Park (Milwaukee, Wisconsin). Peralta has an ERA against lefties of 5.53 with a wOBA of 0.396. Also he has been playing poorly at home. His ERA at home is 6.36 and his wOBA is 0.404. Through the last seven days, Polanco has scored 16.6 Fanduel fantasy points while his season average is 11.5. He has a batting average of 0.400 and a slugging percentage of 0.840 over that time. He also has hit 2 homeruns. Polanco on the road is incredible. His ISO is 0.216 and has a wOBA of 0.326. Polanco hits righties very hard. His ISO is 0.211 and has a wOBA of 0.35. This guy should get some good fantasy points. Ian Desmond - OF TEX Fanduel: 3800 Draftkings: 4000 - Desmond will be taking on Josh Tomlin at Globe Life Park in Arlington (Arlington, Texas) which ranks number 7 in runs scored. Tomlin has an ERA against righties of 5.04 with a wOBA of 0.358. His ERA on the road is 4.07 and his wOBA is 0.320. Desmond at home0.197 and has a wOBA of 0.393. Desmond hits righties very hard. His ISO is 0.177 and has a wOBA of 0.334. Really try to get him into your lineups. Nelson Cruz - OF SEA Fanduel: 4000 Draftkings: 4700 - Cruz faces Anthony Ranaudo at U.S. Cellular Field (Chicago, Illinois) which ranks number 8 in runs scored and number 13 in home runs allowed. This could be a shoot out with an over under of 9.5,Ranaudo has an ERA against righties of 13.50 with a wOBA of 0.433. at home. His ERA at home is 33.75 and his wOBA is 0.383. Cruz on the road is awesome and his ISO is 0.294 and has a wOBA of 0.4. Cruz hits righties big time, to the tune of an ISO of 0.221 and has a wOBA of 0.372. If you see him starting, try to roster him.